For film fans the world over, one area of film advertising remains specially connected to the heart of filmmaking: movie posters. Posters go right back to the beginning of movie theatres well over a century ago. In the previous century almost anything you could buy was advertised on posters. Posters were colorful and ever-present. Naturally filmmakers turned to posters as a means of arousing curiosity. The modern one-sheet posters of today, offset printed on translucent light box paper, fulfill exactly the same function as the stone lithographs announcing exhibitions of cinema by Lumiere and Edison. With the juxtaposition of image, text, and color, posters attract the public's attention. Aside from this primary purpose, film posters have another quality. They are at once mementos – memorabilia of film and artifacts of film culture. The poster you see today for the latest Marvel superhero extravaganza could have the same appeal in fifty years as a classic poster for Pulp Fiction or Star Wars. This possibility is the allure of collecting. The ability to see something special in a poster is the hallmark of a developing collector -- creating a collection with verve and that something extra. Seeing one's own preferences and personality evolve in a collection is what makes collecting special and fun. Anyone interested in collecting can join in. Knowing a little bit about original film posters helps, however. That's what this article is about. We begin with some basic facts about collecting movie posters. The most common, now ubiquitous, movie poster size in the United States is known as the one sheet, 27 inches wide by 40 inches high (up until the mid-1980s, these were 41 inches high). Most of these, before the 1980s, are found folded as they were mailed to the movie theatres in envelopes. Today they are printed by standard offset lithography on high quality paper, and rolled as they are shipped in tubes. One sheets can utilize art or photographic elements. But in the first half of the last century, posters were sometimes printed by lithographic techniques utilizing stone plates. These posters are referred to as stone lithographs, a type of lithography once used to produce all kinds of advertising posters. Stone lithography for U.S. movie posters stopped altogether in the early 1950s, as cheaper photo offset printing dominated. In Europe the stone lithograph production persisted a bit longer. Once you've seen the difference between these two printing methods, you will understand why collectors enthuse over stone lithos. The window card is 14 inches wide by 22 inches high. It is one of the easiest sizes to handle and economical to frame because an oversized piece of glass is not required in the framing. It is printed on a card stock. 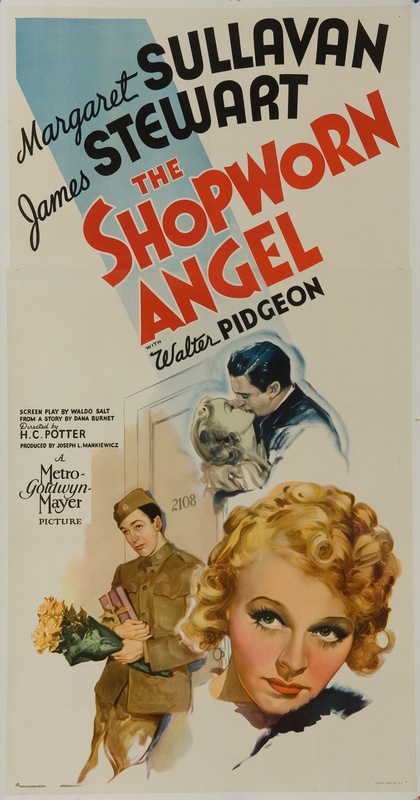 Window cards were designed chiefly for off-premises advertising like the beauty shop, the butcher, and the bakery - advertising a film playing at a local theater. A blank white area of about five inches was incorporated at the top of the poster; in this space the exhibitor could print or hand letter the theater locale and play dates. Many window cards survive with these added letterings. While some collectors prefer to find a copy of a window card with nothing printed on it, other people find that the theater and play dates can add a certain charm. Some window cards have had this area trimmed from the poster, possibly by collectors who find the top area extraneous. Trimming a poster devalues it and is usually a bad idea; but finding a trimmed window card on a rare title is perfectly acceptable. The mini window card (8 inches wide by 14 inches high) is a smaller version of the window card. These were not made for every film, and are relatively scarce. Likewise, the jumbo window card (22 inches wide by 28 inches high) is a larger version of the window card. Both may feature completely different art from the standard window card. Inserts are also printed on card stock. This poster has a vertical format, 36 inches high by 14 inches wide fitting into tighter spaces in the theatre lobby. Unfolded inserts are sometimes referred to as flat or rolled. However, an insert that has been folded is perfectly acceptable. A half sheet is sometimes called a display and is printed on a card stock like the inserts. It is more often called a 22 by 28 referring to its dimensions - 22 inches high by 28 inches wide in a landscape format. Framing is usually less than a one sheet because an oversized piece of glass is not required. Half sheets may be found folded but are also found rolled or flat. It is not unusual to find two different styles for the same film in this format, sometimes marked A or B on the poster. These posters are also printed on card stock, generally, and are scarcer than the smaller sizes. Most often they are found flat or rolled. Because they are bulky, they may be hard to find in better condition as they were often used in outdoor venues like drive in theatres. Both sizes are oriented vertically. Occasionally more than one style is found on a given title. Most use offset lithography, but silkscreen examples also exist. Like all larger posters, framing is more expensive because of the oversized glass. The three-sheet poster is printed on paper stock and is three times larger, in square inches, than a one sheet. Its dimensions are 41 inches wide by 81 inches high. Usually two separate panels are joined to make one poster with a vertical orientation. Three sheets are generally scarcer than smaller posters on the same title as fewer were originally printed. If you have the space to display one, or even if you are simply in love with larger images, three sheets are great although pricey to frame. The most successful three sheets are ones which are designed to best utilize the vertical scheme. The six sheet is six times larger, in square inches, than a one sheet. Normally a six-sheet measures 81 inches wide by 81 inches high: a perfect square. By any definition this poster is BIG. Three and six sheets were usually seen in the grand, downtown movie palaces, and, so they are evocative of the golden era of movie exhibition. The six sheet is usually printed on four separate panels joined to make one poster. Fewer six sheets than one sheets or three sheets were printed initially. And because larger posters were often viewed as too large to frame, in the early years of collecting they were often discarded, further reducing their numbers. Six sheets may be offset lithography or they may be stone lithographs; they are printed on normal paper stocks. Obviously they are expensive to display. When they work well, however, they can be very impressive dominating even a large room. The twenty four sheet was used as an exterior billboard. Most were printed on sixteen or more different panels joined to make a poster which is 9 feet high by 20 feet wide; the scarcest of any poster size and the rarest on any title. They were intended to be used only in the initial, first-run release of a film. These giants were the only posters that were largely destroyed as they were only usable once. Who acquires these behemoth billboards? They are sometimes used in major decorating jobs involving large spaces or are sold to the completist collector who is interested in every single poster for a particular film. Special size posters include silk and paper banners, ones intended for subway posting, vertical door panels and free-standing poster displays like lobby and counter standees. Production numbers on these are not known but were definitely limited. Most of the posters we have discussed here were made for national distribution, but local exhibitors would occasionally make their own posters and display material. The sizes discussed above are all for posters of U.S. origin. 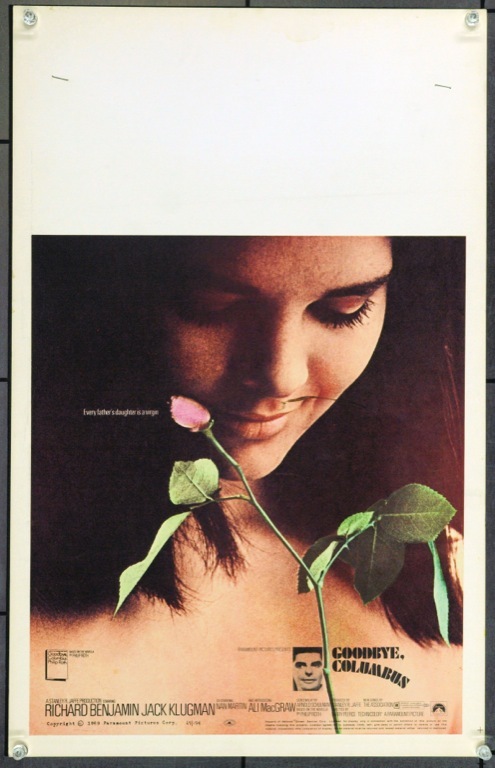 Film posters were, of course, manufactured and distributed in many countries around the globe. If you consider this for a minute, you begin to get an idea of the permutations and huge numbers of movie posters in existence. Every country has posters in its own and various sizes. Developing a knowledgeable working overview of other-country posters is one of the difficult challenges for poster collectors worldwide and a well-heeled dealer or specialist is most welcome when addressing these complexities. Questions of condition are basic to movie poster collecting. People describe condition differently. Some use a number system; others may have a system that uses a range of condition from poor to near mint. Some of this is in the eye of the beholder, of course. A poster described casually as being in good condition may be very fine to you. The best way to assure that the poster is in the condition you require is to see it. If you are buying on line and unable to see the poster in person, check out the seller’s rating on sites like EBAY, work with a responsible dealer or seller who supplies quality photos, and ask for more information or additional photos if needed. Ask the seller to describe a poster in detail. Is there any paper loss? Are there any tears, holes, areas of border wear or fold separations? Are there stains or watermarks? Are there any marks or writing on the poster? Is the paper brittle? These are the issues to discuss to assure getting a poster in a condition that you can live with. If you order a poster online, you should be able to return it within a reasonable period if the condition doesn't satisfy you. Most dealers have an established reasonable and fair return policy as do sites like EBAY. You should expect the same from anyone from whom you buy a poster. Many dealers do not refund postage charges as shipping has become expensive and also because the service has actually been provided. o Washing and removing acids and pollutants from the paper. o Strengthening and improving the appearance of the paper through special mounting techniques. o Improving defects in a poster by skillful art restoration or carefully correcting missing areas, if needed. Restoration can improve the looks of most posters, but there are limits to what can be achieved. If a poster has a hole in it, it has a hole in it. You can minimize that defect, but only by paper replacement. If a poster has border tears, separations, or holes where the paper has been bent back, so that, in effect, there is a semicircular tear, a restoration is possible. There are some great posters of which the only known copy or copies have restorations. Thus there is a legitimate time and place for restoration, but, restoration can be costly. A word of warning: not everyone who says he does paper conservation is necessarily good at it. You usually get what you pay for, and fees for restoration can be very, very, expensive. Never entrust a valuable poster to anyone for restoration unless you have satisfied yourself that the restorer is experienced, has a good reputation, and can give you a realistic estimate as to what the restoration will cost. Work with an established dealer and seller you trust to get a referral to a high-quality restorer. Considering all the films ever made, there are perhaps a few million movie posters in existence. The field shrinks considerably after narrowing it to specific titles, genres, or actors. In relation to the potential market for them, they are scarce. 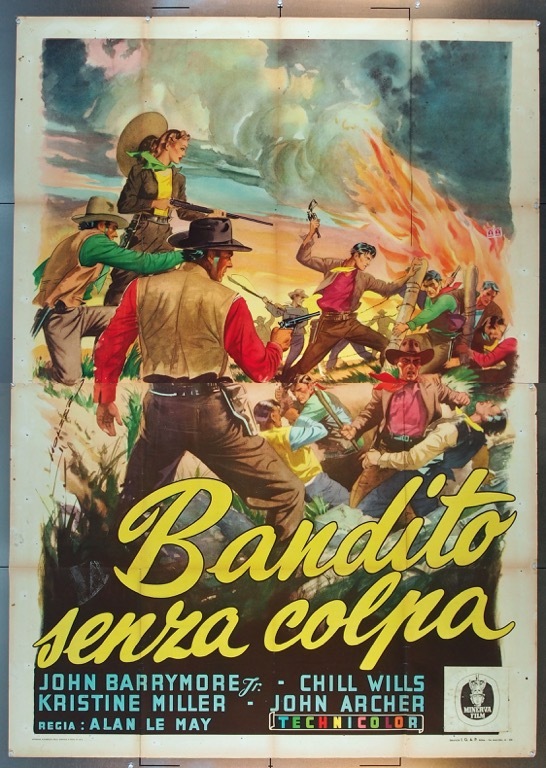 A limited number of original authentic real movie posters may exist for a particular film. For some films there may be many, many more. What is it that makes them collectible? Movie posters were never created for distribution to the general public. They were intended to go to movie theatres where the audiences would encounter them and be tempted to see the film advertised. 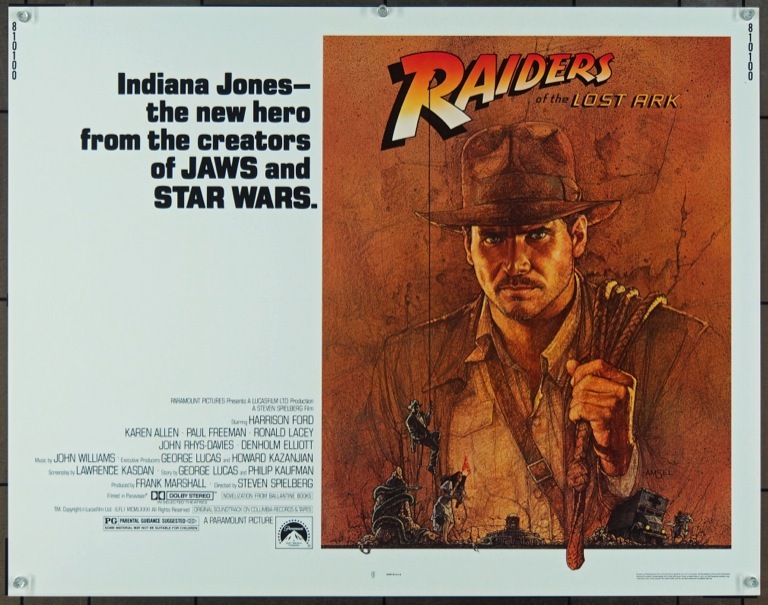 Most movie posters were not printed and sold to the public at large. Unlike many other areas of paper collectibles originally intended for mass consumption (comic books, baseball cards, etc. ), movie posters were not. Again, a limited number were printed. You may take this into account, but you must look more to the merits of a given poster and a given film, and the memories it evokes) to determine it's desirability - not merely its size nor its scarcity. Factors such as these will contribute to driving the desirability factor and value (and thus the price) of a poster. 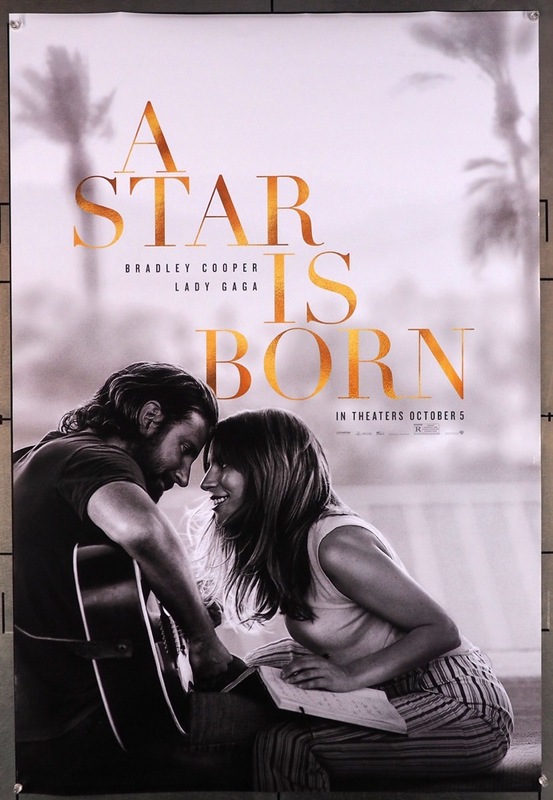 A poster is said to be an original poster for a film when it is known to have been printed and distributed concurrent with the first release of the film. Most authentic movie posters are original release posters, but many films have been re-released over the years and special posters were made for these subsequent releases. Many posters will have a National Screen Service (NSS) service number in the right bottom border area of the poster, if the film was issued during the years in which NSS was the distribution facility for movie posters (1941 to the mid-1980s). Such a number might read, for example, 57-128. This configuration of numbers means that the poster was made for distribution in the year 1957 and that said poster was for the 128th film that NSS had serviced for the studios. A poster which has a number configured like this may reasonably be construed to be an original poster from a film released in the year 1957. Some posters may have no date at all printed on them. If you are concerned about the originality of a poster and there is no date, ask for the advice of a dealer or a trusted collector. Roadshow or limited engagement films often had posters printed and distributed uniquely, not coming to the exhibitors from the normal channels but directly from the studios or other unique subcontractors. These are posters for films which were popular in the heyday of reserved seat engagements from 1952 - 1967: This is Cinerama, Around the World in Eighty Days, It’s a Mad Mad Mad Mad World, Spartacus, Cleopatra, My Fair Lady, and The Sound of Music, just to name a few. These roadshow posters are becoming increasingly collected and are considered the preferred original posters on these titles. Before television, cable, dvds, and home streaming, certain films were sometimes re-released by the studios years after their first release due to ongoing popularity. Posters for films which were re-released were printed and they are referred to as reissue or re-release posters. These reissue posters are real movie posters in every sense, but they were specifically made for the re-release. A reissue movie poster, re-released in 1968 will have an R-68 printed on the poster usually near the NSS number in the bottom right corner. 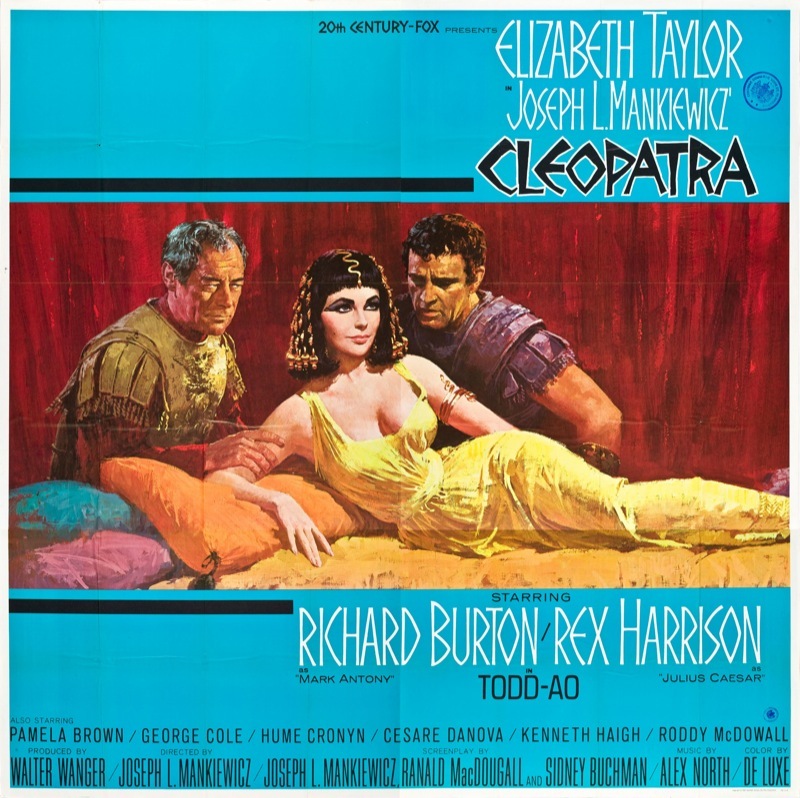 These posters may have used the same designs as the original posters or entirely new ones, but the rerelease designation indicates that the poster was intended for a film that was being re-released. A reissue poster is not to be confused with a reproduction poster. A reproduction poster is merely a reproduction of a real poster, usually an original. Over the years, some manufacturers have reproduced movie posters for mass marketing. It is recommended you consult an expert collector or dealer if you have a question regarding the authenticity of a poster. Forgeries and counterfeits are not unknown, but the incidents of this are uncommon enough not to present a significant worry. Where there is money there can also be chicanery. Beware of what is too good to be true. If you have doubts about an item, you should seek the advice of a quality dealer or a trusted collector. They should be able to tell you if a poster is original, reissue, a reproduction or a phony.